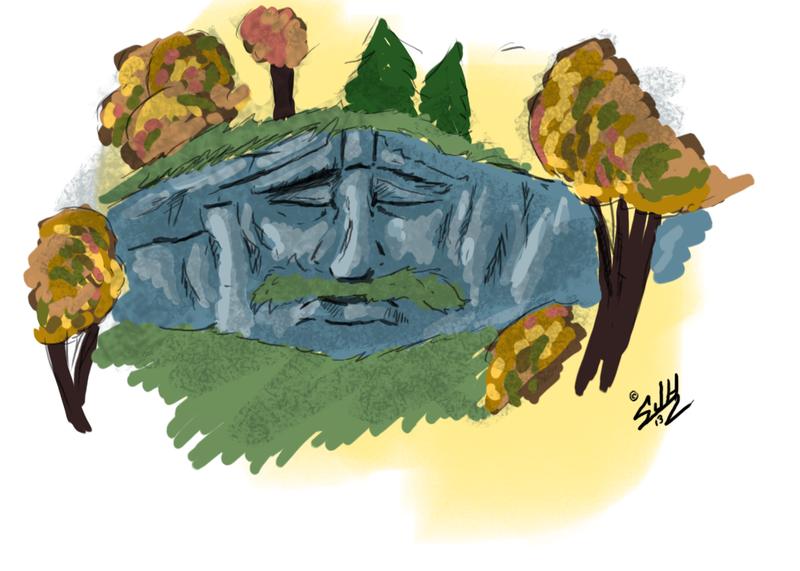 My final piece, “Old Man Mountain”. The trees were edited in from several photographs I took while in Hocking Hills, Ohio and also while along Interstate 64 in West Virginia. If done well, it is relatively unnoticeable unless it’s pointed out. 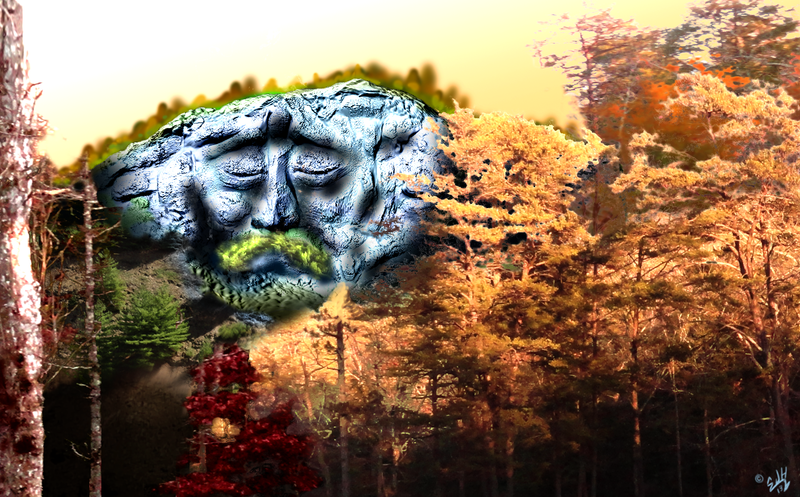 Putting color theory and rendering aside, I took the time to sculpt, finalize, and convert my model into a photoshop document so I can layer on photographs of trees (I plan to take them myself) and other embellishments. 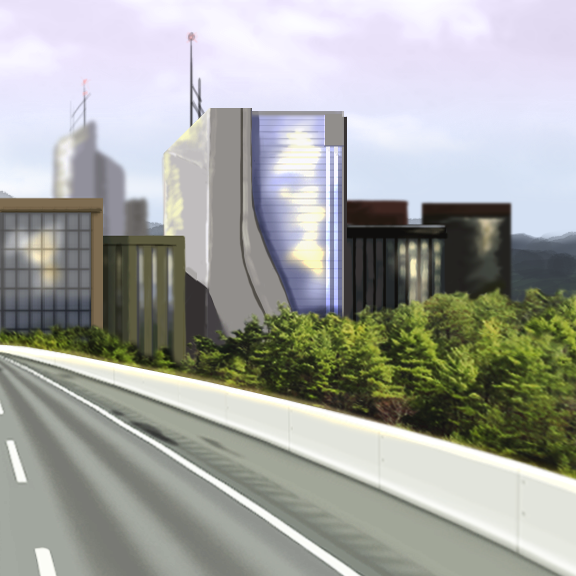 Here is a first-pass render and incorporation into the photoshop document for compositing. 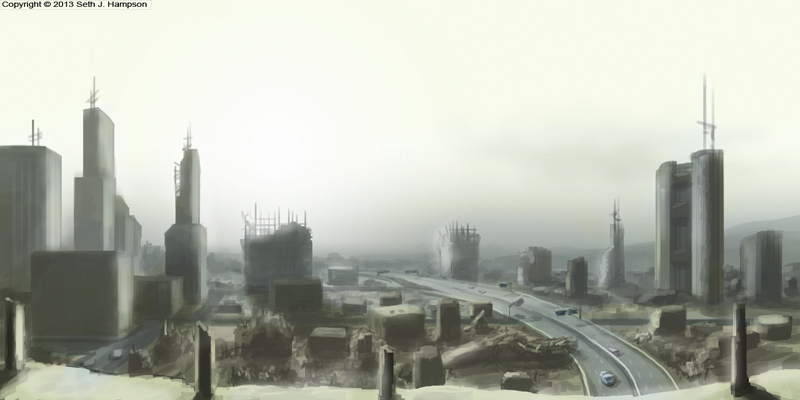 Unrelated to my Design 4 Media project, I would like to link my personal blog covering the development of my video game. I am interested in feedback and suggestions as I upload concept art and other ideas. I plan to launch a kickstarter for it at the end of the semester (I can’t hope to do well in class and also build a video game with donated money at the same time). After reviewing input from classmates, I have decided to make some changes and come up with a more finalized design for the face. As Tori Smith suggested in her comment on my last post, I decided to make the eyes closed. It lends a stronger sense of emotion, and makes it look more “human” than a blank-stare face would. I also tried out the fall colors using deciduous trees, as another classmate suggested. It ties the color scheme together with more complements. 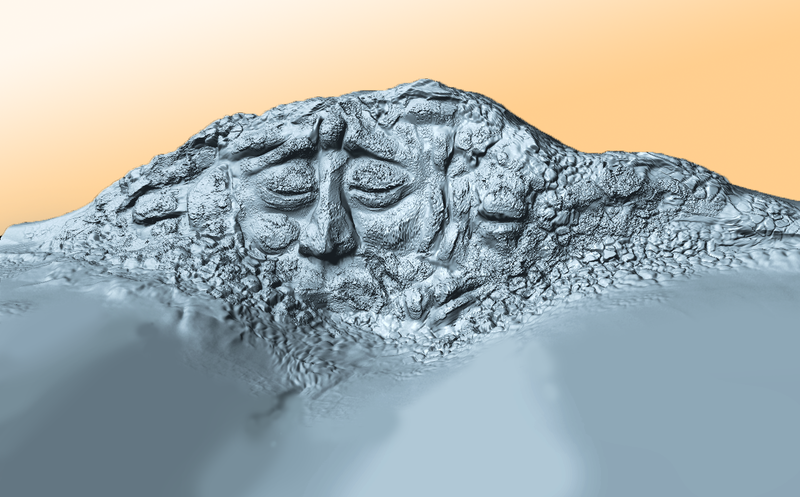 I also began preparing the cliffside for sculpting the face. 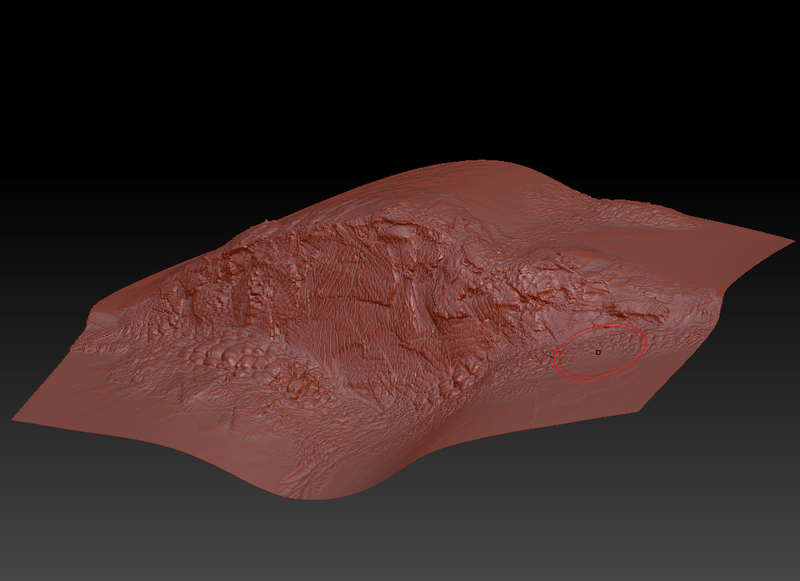 I roughed out a rocky texture in Zbrush. My next step is to start sculpting the face, and put in more research on atmospheric effects and lighting. I will be using James Gurney‘s books on light and color for reference. 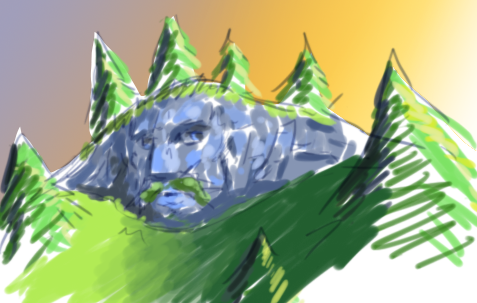 After some deliberation and input from classmates, I’ve decided upon the face in the mountains idea. Not like the presidents at Mt. Rushmore, but rather a natural formation playing upon the “pareidoliac apophenia” phenomenon. 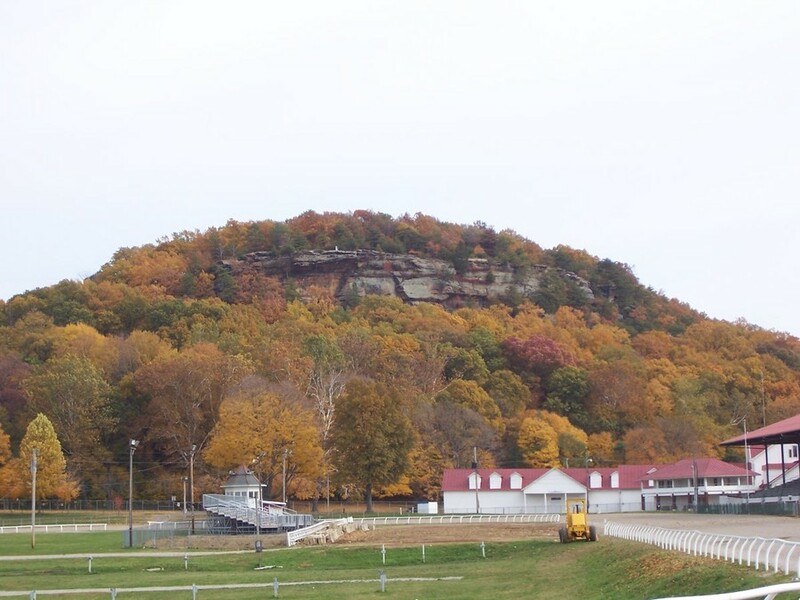 There is a mountain in my home town known as Mount Pleasant. It has a rocky cliff face that overlooks everything. This mountain and the way it sort of “watches over” Lancaster was an inspiration for my design. 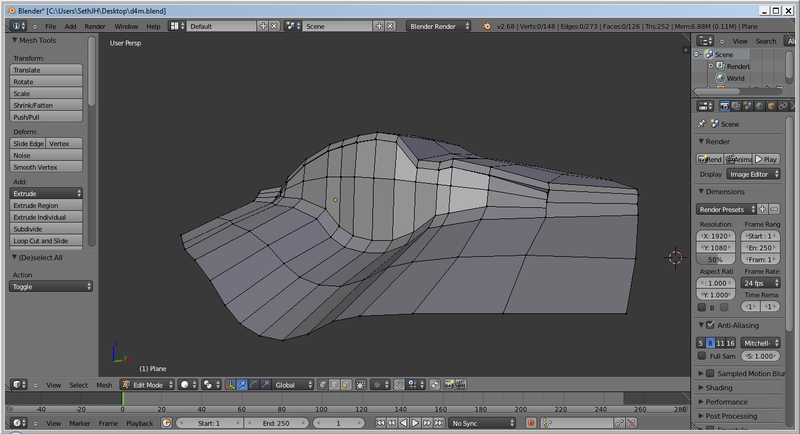 I got started by blocking out a basic land formation in my favorite 3D tool, Blender. My next step is to port it over to Zbrush and begin sculpting the details.